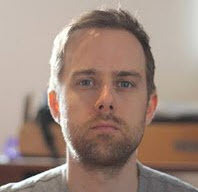 Martin Brinkmann is a journalist from Germany who founded Ghacks Technology News back in 2005. Martin started his career as a tech support representative at a large German financial corporation which he used to finance his college education in English, Information Technology and History. He quit college and his job when Ghacks began to attract a large enough readership. He made the decision to become a full time blogger and webmaster, and has not looked back since. Martin is interested in all things tech. His primary focus is on desktop operating systems, web browsers, Internet services, and privacy related topics. He published the book The Complete Windows 10 Privacy Guide: Windows 10 Fall Creators Update version in 2017. Martin writes a weekly column for fellow tech site Betanews as well. You can reach Martin on Facebook or on Twitter. Please use the contact form at the bottom of the page to contact the author directly. Martin has been quoted or mentioned in many major online and print publications, including Forbes, Lifehacker.com, ComputerWorld, LinkedIn, Reddit, Betanews.com, Bleeping Computer, TechCrunch, PC World, Tom's Hardware, Slashdot, Hacker News, The Register, and more. I grew up playing boardgames like Risk, Monopoly and Trivial Pursuit and witnessed that board games evolved almost as much as computer games did. I would like to introduce one of my favorite online boardgames websites where you can play about 50 excellent boardgames online. Boardgames include Settlers of Catan, Carcassone and Thurn and Taxis. 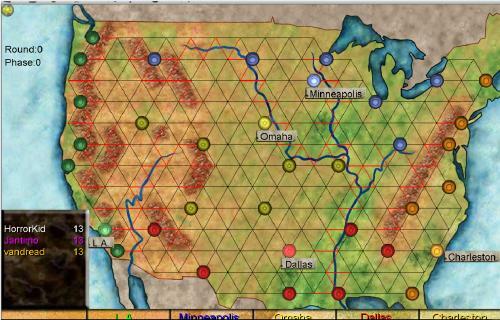 All boardgames of the year and of course playable in multiplayer. I think it is really fascinating that Coca Cola is doing another major promotion in Europe teaming up once again with iTunes and giving away 2 billion songs on iTunes along with other goodies such as tickets to concerts and iPods for codes that can be found in Coca Cola bottles. You had to use four codes to be able to download one song from iTunes in the last promotion and the new one will surely use the system as well. It should be noted that only selected songs could be downloaded in the last promotion. After introducing Teachertube just a few days earlier I received an email pointing me to Vidipedia which is a video encyclopedia, basically Wikipedia with Videos. The principle is of course the same. You search for a phrase or browse a category on Vidipedia and one or more results are shown on the next page. If a single result exists it will be shown in video player mode which loads and plays the video automatically. Just like in Windows XP the ability to use custom themes in Windows Vista is limited. There is however a very convenient way to unlock the ability to use custom themes in Windows Vista. 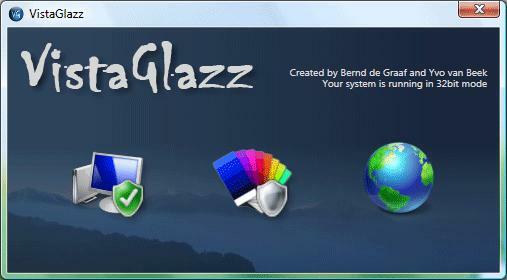 All you need is the free software Code Gazer which, when executed, unlocks the ability to use custom themes and also changes the Vista Aero theme to use the Glass effect on maximized windows as well. I really enjoy the shows from this guy. He is reviewing all those bad video games that came out for classic gaming systems such as the Nintendo Entertainment System and the Sega Genesis. It is pure fun to see how he bashes the video games into oblivion showing lots of in game footage. The technique behind his videos is getting better as well which makes it a pleasure to watch his rants. Be advised that this is not really suitable for minors. 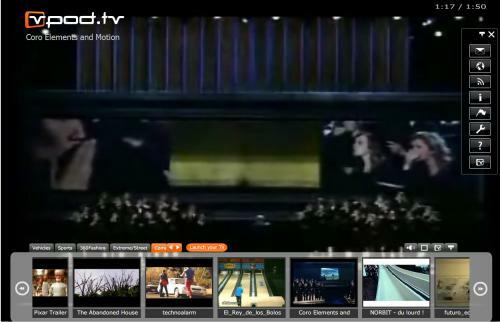 When I first saw the Vpod.tv homepage I thought I was seeing a Joost light version on the web. A fullscreen video of the infamous nunchuck guy was shown followed by several others. A menu would appear when I moved the mouse cursor over the lower region of the website showing the next videos on line and giving me some options to switch channels, skip videos and to open a secondary menu with more options. I have written an article a few days ago about the problem that the Vista Aero theme was consuming a lot of power which reduced battery life on notebooks by a measurable amount. One of my suggestions back then was to disable the Aero theme completely which is not really practicable if you want to work with Aero whenever the notebook is connected to a power source. The first thing that came to my mind when I read "Attempted copyright infringement" was the term thought crime. It seems that Attorney General Alberto Gonzales is pressing the U.S. Congress to enact a sweeping intellectual-property bill that would increase criminal penalties for copyright infringement, including "attempts" to commit piracy. I always wanted to have one of those lightsabers since the first time that I was watching Star Wars back then when the first movie came out. We used all sorts of replacements like flashlights, sticks and swords to play Star Wars as kids, the rest was done by our imagination. Using those replacements did not make a big difference for us kids but it surely would feel awkward to do this as an adult. Did you ever experience the loss of a large text that you have written because you did press the wrong button, accidentally closed a window or a program crash ? I did and it really felt terribly to write everything again. I recently read a nice forum discussion about the subject at the Donation Coder blog where the thread starter was asking for a program that would log the text that he was writing to make sure that it would not get lost when something like the above happened. Specialized Youtube clones are appearing every day. Some are relatively weak while some offer videos targeted only at a certain niche that is grateful for not having to search Youtube for the videos that they would like to watch. TeacherTube is one of the better Youtube clones. It concentrates solely on the teaching aspect of videos which means that you will only find videos on TeacherTube that "teach something" to the viewer. The Stardoll is definitely a great playground for children between the age of 7 and 16 but also suitable for everyone else who likes to dress and play around with paper dolls. The site offers two main areas. The first can be accessed without registering to Stardollls. You can pick a celebrity, e.g. Johnny Depp, Kylie Minogue or Heidi Klum and use a wardrobe to to outfit them. 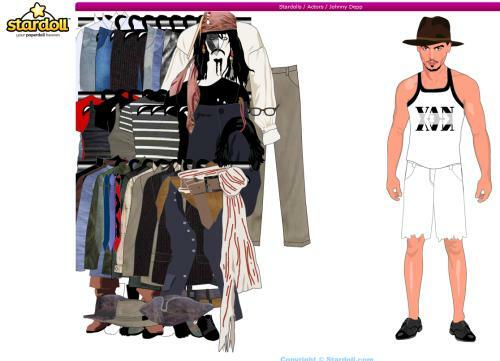 If you take Johnny you could dress him with the same clothes that he was wearing in The Pirates of the Caribbean or with a multitude of other clothes. I'm not able to live without tabbed browsing anymore and I suppose this is true for most Internet users. I found a great program called QT TabBar which adds the same functionality to the Windows Explorer. Installation of the free software is not complicated but rather unusual. There is no setup or install executable, the program that you have to start to install the Tabbar is RegisterQTTabBar.exe. The computer needs to be restarted afterwards and you need to activate the toolbar in the View > Toolbars menu. If you ever wanted full control over the Autplay feature of your Windows operating system you should take a look at the free software Autplay Repair which gives you excellent control over every aspect of Autoplay. Since there are different autoplay menus for different kind of media that are inserted you may select to remove, modify or add options for those menus. It is furthermore possible to disable the autoplay feature for drive letters. 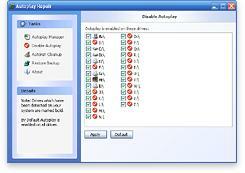 If your don't want the autoplay feature for your CD writer you could disable it here easily. Microsoft decided that The Aero interface would not be available for Windows Vista Home Basic users. I personally dislike the new trend to offer several versions of a program with different functionality naming them basic, premium and ultimate. It confuses consumers who have enough troubles to work with the operating system less alone deciding which of the many versions of Windows Vista would suit their needs. If you are looking for a rather unique clock you should take a look at the so called Rnd_Time Infinite Wall Clock. The Rnd_Time stands of course for Random Time but it is not the time that is shown randomly but the placement of the hours on the walls. The hours can be placed randomly on the wall while the clock is still displaying the correct time. It could be hard to tell the time but it sure looks unique. You do get 12 blocks that display the hours from 1 to 12 and another block for the clock hands. The Windows registry is filled with all sorts of information over time. Many programs write information in it and sometimes those information do not get removed when the software that created them is uninstalled. Invalid registry entries can be the cause for crashes, drops in system performance and other erratic behavior. It does therefor make sense to remove those entries that are no longer needed from the registry to fix these issues.